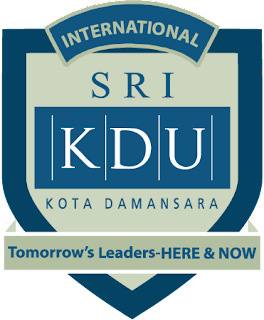 Sri KDU® International School is an authorised school of the International Baccalaureate Organisation (IB World School). The School offers the International Baccalaureate Diploma Programme at its school campus in Kota Damansara, Selangor Darul Ehsan, Malaysia. The International Baccalaureate Diploma Programme is a demanding pre-university course of study that gives holders access to the world’s leading universities. It is a comprehensive two-year international curriculum. Students of the programme share an academic experience that emphasizes critical thinking, intercultural understanding and exposure to a variety of points of view. Students are accepted into the Diploma Programme at Sri KDU® in September each year. Sri KDU® International School aims to bring international education to highly motivated students who are able to demonstrate a strong commitment to learning. The Sri KDU® International Baccalaureate Diploma Programme Scholarship Award is offered to deserving students aged 16 – 19 years, to provide them the opportunity to develop their potential. Outstanding students from Sekolah Menengah Kebangsaan (SMK), Private Schools and International Schools are invited to apply for the Sri KDU® International School International Baccalaureate Diploma Programme Scholarship Award each year. The selection system is criterion-referenced, and candidates must demonstrate a high level of oral and written proficiency in English. The scholarship award is based on academic and extra-curricular merit and is very competitive. The scholarship award is tenable for the two-year period of candidature of the International Baccalaureate diploma programme. Awards are made for a single year. Recipients will qualify for renewal for the second year when they make satisfactory progress toward completion of the programme. The scholarship covers the registration fee and the tuition fee. However, scholarship recipients are required to pay the deposit as stipulated on the current fee schedule. There will be no bond, except that recipients become active members of the school alumni upon completion of the programme. A recipient of the scholarship award may not concurrently hold any other scholarship. The Scholarship is administered by Sri KDU Sdn. Bhd. How to Apply IB Scholarship? Completed application forms must be received by 5.00pm, Friday, 17 November 2017. Only short-listed candidates will be contacted for interview in February 2018. Application must be accompanied by a Reference Letter from the school Principal (does not apply to Sri KDU International School applicants), and all sections of the Application Form must be filled in. Late and incomplete applications will not be entertained. The decision of the Scholarship Committee is final.